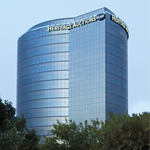 Consign your material to be auctioned alongside these items on Tuesday, October 22, 2019 in Dallas, TX. Consignment Deadline for this auction is Tuesday, August 20, 2019. Condition Report*: Mild to moderate water damage to lower half causing the Warhol red ink stamp on the verso to bleed; mild creases to the corners. Print Grade: 6/10. Floated and framed under acrylic.